Discover the advanced features and functions of Microsoft Excel 2007 and find out everything this powerful program can do for you. Any proficient Microsoft Excel user will agree that MS Excel is a very powerful analytical tool. Wouldn't it be great to learn how to effectively use all the advanced Excel features at your disposal? In this practical and information-packed course, you'll see how to maximise Excel's functions and capabilities. 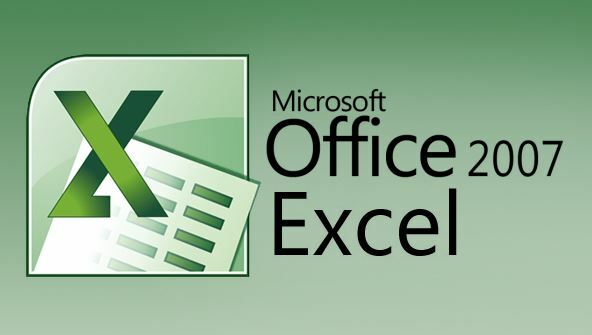 Most organisations rely heavily on Microsoft Excel to consolidate, analyse, and report financial information. Your company is probably no exception. By learning these advanced techniques, you can become more valuable to your organisation. Your ability to generate information with increased accuracy, timeliness, and usefulness will lead you and others to better decision-making. Over the next six weeks, you'll see how to use the additional analytical tools provided by Excel add-ins. You'll become skilled in the use of validation to protect the integrity of your worksheets from other, less experienced users. You'll impress your coworkers by learning how to add functional and eye-catching controls to any worksheet and how to use scenarios and data tables to quickly perform multiple what-if analyses. You'll discover advanced techniques for PivotTables, such as creating calculated fields and calculated items. You'll become adept at consolidating and importing data from other sources, and you'll master the art of conditional formatting to highlight duplicate entries and other common worksheet problems. Learn how Excel 2007 table tools take the complexity out of table creation and management. As you become proficient at nesting functions within other functions, you'll be able to accomplish just about anything Microsoft Excel has to offer! Lesson 12- Analysis ToolPak, Advanced Filter, Array Formulas, and More! From the moment that you enrol in Microsoft Excel 2007 Advanced you will become an integral part of our learning community. You will experience the perks of classroom studies such as chatting by the water cooler or sharing your opinion on a specific task, all in your own home.